Breast masses can take many different forms, some cancerous and some benign. Phyllodes tumors are among the less common types of breast mass. The name “phyllodes” is taken from a Greek word meaning “leaflike,” which describes the pattern in which this type of tumor grows. Accounting for less than one percent of breast tumors, phyllodes tumors develop in the connective tissue of the breast and tend to grow rapidly. Left untreated, they can create a bulge that stretches the skin and may cause an open wound. Although fast-growing, most phyllodes tumors are benign; the American Cancer Society reports that only about 25% are malignant. What are the symptoms of phyllodes tumors? A palpable breast lump is the most common symptom of a phyllodes tumor. This is also a prominent feature of a fibroadenoma, a much more common benign breast mass. Phyllodes tumors, however, tend to develop more quickly and appear, on average, 10 years earlier in life, primarily affecting women in their 40s. How are phyllodes tumors diagnosed? First, a mammogram is taken. A phyllodes tumor can appear as a round or oval mass with well defined edges, sometimes with calcifications (tiny flecks of calcium that appear as white dots). 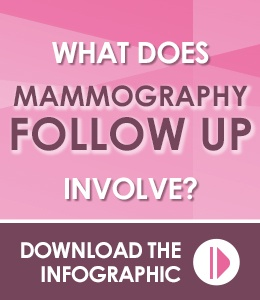 Often, mammography will be followed by ultrasound. These additional tests can give doctors more information about a tumor’s composition. A biopsy is needed to definitively diagnose a mass as a phyllodes tumor. Often, an excisional biopsy, in which the entire mass is removed for examination, is necessary for a reliable diagnosis. How are phyllodes tumors treated? Because they grow quickly and can cause considerable discomfort even when benign, all phyllodes tumors are typically removed. Both benign and malignant phyllodes tumors can grow back if the entire mass is not removed; as a result, all phyllodes tumors are typically removed with a margin of normal tissue around them to prevent recurrence. In the case of malignant tumors, a wider margin of healthy tissue is removed. In rare cases, depending on the extent of the tumor, this may require mastectomy. Unlike other forms of breast cancer, phyllodes tumors do not respond to hormone treatments. Radiation is often recommended following surgical removal of a malignant phyllodes tumor; if the cancer has metastasized, then chemotherapy is also used. What follow up is necessary after treatment? After treatment is completed, your doctor will schedule follow up care. Often, this will include a clinical breast exam within 4–6 months after treatment and a mammogram and ultrasound 6 months after treatment. Breast MRI may also be ordered if your doctor needs more information to guide your care. In the case of malignant tumors, follow-up CT scans may also be recommended. Iowa Radiology is an American College of Radiology-accredited Breast Imaging Center of Excellence. This means that we have demonstrated high levels of proficiency and safety in delivering a variety of breast imaging services, including digital mammography, breast ultrasound, breast MRI, and imaging-guided biopsy. 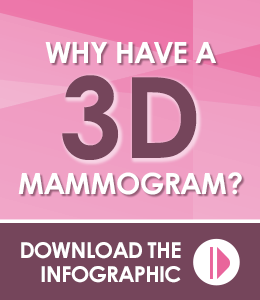 We proudly offer 3-D mammography for superior image clarity and cancer detection. Contact us to schedule a screening mammogram, or click any of the links below for access to our free breast imaging resources. "Phyllodes Tumors of the Breast." Breastcancer.org, 23 June 2016. Accessed 29 Nov 2017. "Phyllodes Tumors of the Breast." Cancer.org. American Cancer Soicety, 20 Sept 2017. Accessed 4 Dec 2017. 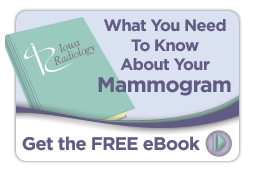 The information contained in the Iowa Radiology website is presented as public service information only. It is not intended to be nor is it a substitute for professional medical advice. You should always seek the advice of your physician or other qualified healthcare provider if you think you may have a medical problem before starting any new treatment, or if you have any questions regarding your medical condition. Iowa Radiology occasionally supplies links to other web sites as a service to its readers and is not in any way responsible for information provided by other organizations.